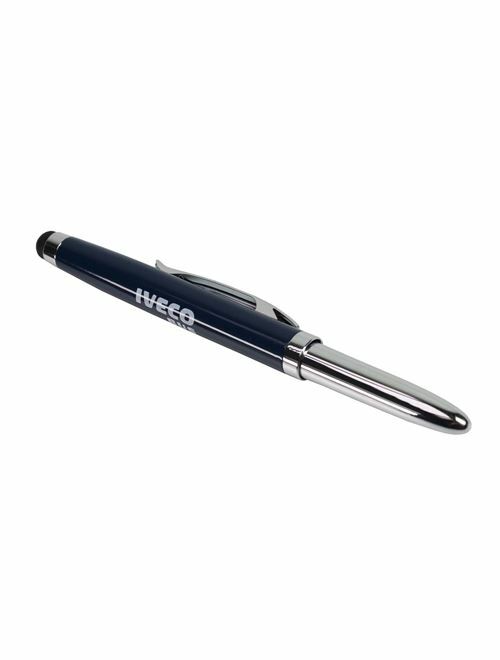 Metallic ballpoint pen with blue touch screen cap. Black ink. Suitable for all smartphones and tablets equipped with touch screen. Printed Iveco Bus logo.